Did you enjoy swinging on the playground as a kid? Have you ever wondered how ballerinas have such a toned body? Are you ready to rock a cardio and sculpt class in a fun way? A PERSONALized TRAINING EXPERIENCE IN A SMALL GROUP VIBE! Mood LifeClub is a boutique yoga and fitness studio, we offer a personalized and mindful approach to fitness. A beautiful studio offering a unique variety of classes: Vinyasa Yoga, BalletFit Barre, Aerial Yoga, Pilates, Power Yoga, Restorative Yoga, Functional Training and Trampoline HIIT taught by experienced trainers in a small group setting of 8 people! The small group class ensures you get the adjustment you need from our first-class trainers that pay exact attention to improving your posture, strength, flexibility and mood. Our instructors positively motivate and inspire you to achieve your goals and strive for you to get better and feel better. Working out together is fun. We grow together. We achieve higher. We rise. Our goal is to positively motivate you to maximize your health, vitality and ensuring that you become the BEST version of you. WE COULD CALL “STATE OF MIND”. MOOD LifeClub is more than a boutique fitness studio, it is a transformative lifestyle experience with a mindful objective; to cultivate your body, mind and soul, your precious gems. Here, we provide tools for you to become the BEST version of you. Everybody is loved and celebrated here; a fit body is one important part of the equation, jointly with a steady mind and a happy soul, one can build a strong community. You must have an environment of good energy in order to achieve that, to give that. We grow together as a team and as individuals; WE RISE together, that’s our mantra. At Mood LifeClub, we know you wake up different every day, we respect your decision to shift or not how you feel. There are days you feel energized and ready to rock it. And there are other days that you just want to restore a sore body. Here, we provide a variety of fitness classes that FITS YOU, FITS YOUR MOOD! Explore, Choose and Enjoy it!! Work out feels great, and why not do it in a beautiful studio!?! 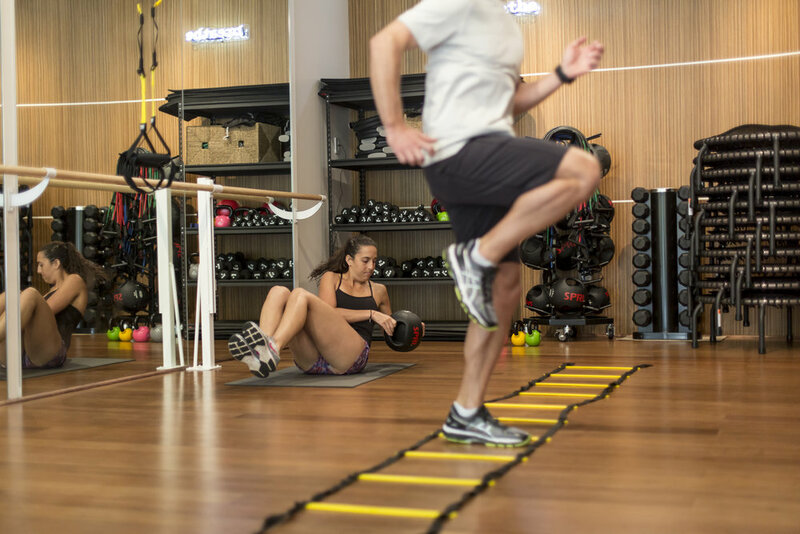 A place that also inspires you to achieve more, a fitness oasis in the paradise island of Key Biscayne. A beautiful, peaceful and well designed studio by the awesome architecture firm Shulman+Associates and C&I Construction. The design was inspired by Mood's core vision; the yin-yang philosophy on how opposite or contrary forces are actually complementary, interconnected, and interdependent in the natural world. Our two rooms were designed for being in perfect equilibrium: The Power Room, our active room where one find our cardio and strength classes and The Sanctuary Room, our balance room where one find our yoga classes. The perfect match of vigor and recovery. At Mood LifeClub, you will find a curated retail store with the most trendy apparel and equipment from all around the globe. Come and check it out, we will be in a happy mood to show you our studio!